Magneuris (Mag-NEW-rees) Sierra...married to Kewyn...they have a daughter, Maia...enjoyed basketball and dominoes. Opened season with Triple-A New Orleans, batting .260 (90x346) in 86 games before being recalled for remainder of season on July 24... Average at Triple-A increased month-to-month: hit .235 in 21 games in April; hit .240 in 26 games in May; hit .280 in 25 games in June; hit .298 in 14 games in July...At time of recalled to Miami, his 14 stolen bases were tied for 13th in Pacific Coast League, and his 90 hits were tied for 17th...Made Marlins' debut on July 24 vs. Atlanta; started in center field and went 0x4...Tied career high with three hits on July 31 at Atlanta; also tied career high that night with two RBI (did so again on September 17 vs. Washington)...Swiped three bases for Marlins, the first on August 14 at Atlanta...Hit .280 (7x25) over his final nine games of season, with a double and two RBI. Opened season with Single-A Palm Beach; was on 7-day disabled list from April 14-25...Had contract selected by Cardinals on May 7 to begin first of four stints with big league club: May 7-19; June 2-4; July 15-21; and September 12-end of season...Each option from St. Louis was to Double-A Springfield; promoted from Springfield to Triple-A Memphis on Sept. 5, prior to fourth MLB call-up...Made Major League debut on May 7 in Atlanta (1x6); recorded first career hit with a single off of R.A. Dickey...Hit safely in first nine MLB games, establishing new Cardinals' record, surpassing Homer Smoot's mark of eight in 1902...Had five multi-hit games in that time, scored a run in first four, and had three straight games with two runs (May 8-10)...Started first 13 games he played (seven in right field; five in center; one in left)...At 21 years old, was youngest Cardinals position player to make MLB debut since Albert Pujols in 2001...Four of 19 hits were infield singles.. Batted .345 (19x55) as a starter and was 0x5 off bench...Posted season-best three hits twice: on July 16 at Pittsburgh and July 19 at the Mets, the final game of career-opening hitting streak...Joined Joe Cunningham (1954) as only Cardinals' with five-or-more hits and five-or-more runs in first three MLB games...In 101 regular season Minor League games, combined to hit .270 with a home run, 44 RBI, and 20 steals... Appeared in four Pacific Coast League playoff games with Memphis, batting .308 (4x13) with three runs and two RBI. 2016 Midwest League Mid-Season and Post-Season All-Star...His Cardinals organizational-leading 161 hits were T9th-most among all minor leaguers...Paced Cardinals minor leaguers in runs scored (78) and at-bats (524), ranked 2nd in doubles (29), 4th in stolen bases (31), 5th in total bases (207), 8th in RBI (60), 10th in average (.307) and T10th in triples (4)...Finished among Midwest League leaders in runs scored (1st), at-bats (1st), caught stealing (1st), hits (3rd), stolen bases (T3rd), and average (9th)...Led Midwest League outfielders in total chances (308) and tied for the league lead in putouts (286)...Batted a combined .431 (22-51) in the ninth inning or later in games...Hit safely in 95 of 122 games with 48 multiple-hit efforts. Compiled a trio of four-hit efforts and 12 three-hit games...Enjoyed his best month in August, hitting .369 (38-103) with eight doubles and 23 runs scored in 25 games...Hit an inside-the-park home run at Wisconsin (8/22), a game-tying, two-run shot in the 9th inning; was the first for the Chiefs since the return of the Cardinals affiliation in 2013. Also tripled as part of his three-hit effort that night...Was 1-for-9 (.111) in two postseason games in the Midwest League Playoffs...Recognized as the Midwest League's No. 12 prospect by Baseball America following the season...Rated as the No. 5 prospect in the Cardinals organization by Baseball America...also recognized as being the "Fastest Baserunner", "Best Athlete", "Best Defensive Outfielder" and "Best Outfield Arm" for the second straight season (2016-17) by Baseball America's "Best Tools" survey...Added to St. Louis' 40-man roster (11/18)...Played for Toros del Este in the Dominican Winter League following the season. Appalachian League Post-Season All-Star...ranked 6th in the Appy League in batting (.315)...ranked 7th among Cardinals minor leaguers in stolen bases (19)...ran off the 2nd-longest home hitting streak in the Appy League at 15 games (7/16-8/27) and T6th-longest road hitting streak of 11 games (6/23-7/26)... reached base safely in 21 straight games 7/28-8/22 with a .421 on-base percentage during the streak...scored in five straight games 8/1-6...tallied seven RBI in his first four games in Johnson City with an RBI in each game and home runs in consecutive games 6/25-26...rated as the No. 6 prospect in the Cardinals organization by Baseball America...also rated as being the "Fastest Baserunner", "Best Athlete", "Best Defensive Outfielder" & "Best Outfield Arm" by Baseball America's "Best Tools" survey. Named the Cardinals 2014 Minor League Player of the Year and Gulf Coast League Post-Season All-Star and MVP... Gulf Coast League batting champion with a .386 average...also led the league in hits (78), on-base percentage (.434), runs (42) and total bases (102)...ranked 4th in slugging percentage (.505) and T7th in outfield assists (5)...led all Cardinals minor leaguers in batting (.386) and on-base percentage (.434), while ranking in the Top 10 in slugging (.505, 2nd) and OPS (.939, 2nd)...Cardinals Minor League Player of the Month for July, batting .439 (36-82) with 11 multi-hit games, eight doubles, a triple, a home run and 11 RBI and was 9-for-9 in stolen base attempts...hit safely in 40-of-52 games with 23 multi-hit games and three instances of three consecutive multi-hit games during the season, not going without a hit in more than two games...posted 10 games with three or more hits, three were four-hit games with a career-best 5-for-5 (5 singles) vs. GCL Nationals (8/28) in which he reached base safely three times in the 1st inning (2 singles, walk)...batted .456 (26-57) with runners in scoring position... went hitless (0-for-4) in only postseason game in the Gulf Coast League Playoffs (7-4 loss to Red Sox)...rated as the No. 10 prospect in the Cardinals organization and the Gulf Coast League's No. 16 by Baseball America following the season. Ranked T7th among Cardinals in stolen bases (15) in his first professional season. March 8, 2019 Miami Marlins optioned CF Magneuris Sierra to New Orleans Baby Cakes. October 13, 2018 OF Magneuris Sierra assigned to Toros del Este. October 13, 2018 Toros del Este placed OF Magneuris Sierra on the reserve list. July 24, 2018 Miami Marlins recalled CF Magneuris Sierra from New Orleans Baby Cakes. March 27, 2018 Miami Marlins optioned CF Magneuris Sierra to New Orleans Baby Cakes. September 12, 2017 St. Louis Cardinals recalled RF Magneuris Sierra from Memphis Redbirds. September 5, 2017 RF Magneuris Sierra assigned to Memphis Redbirds from Springfield Cardinals. July 21, 2017 St. Louis Cardinals optioned RF Magneuris Sierra to Springfield Cardinals. July 15, 2017 St. Louis Cardinals recalled Magneuris Sierra from Springfield Cardinals. June 4, 2017 St. Louis Cardinals optioned CF Magneuris Sierra to Springfield Cardinals. June 2, 2017 St. Louis Cardinals recalled Magneuris Sierra from Springfield Cardinals. May 19, 2017 St. Louis Cardinals optioned CF Magneuris Sierra to Springfield Cardinals. May 7, 2017 St. Louis Cardinals recalled Magneuris Sierra from Palm Beach Cardinals. April 25, 2017 Palm Beach Cardinals activated CF Magneuris Sierra from the 7-day disabled list. April 14, 2017 Palm Beach Cardinals placed CF Magneuris Sierra on the 7-day disabled list. March 15, 2017 St. Louis Cardinals optioned CF Magneuris Sierra to Palm Beach Cardinals. November 18, 2016 St. Louis Cardinals selected the contract of Magneuris Sierra from Peoria Chiefs. October 20, 2016 OF Magneuris Sierra assigned to Toros del Este. April 2, 2016 CF Magneuris Sierra assigned to Peoria Chiefs from Johnson City Cardinals. March 2, 2016 RF Magneuris Sierra assigned to St. Louis Cardinals. June 9, 2015 CF Magneuris Sierra assigned to Johnson City Cardinals from Peoria Chiefs. April 5, 2015 CF Magneuris Sierra assigned to Peoria Chiefs from Johnson City Cardinals. 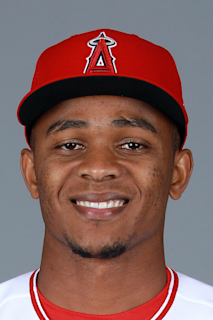 March 11, 2015 CF Magneuris Sierra assigned to St. Louis Cardinals. August 31, 2014 CF Magneuris Sierra assigned to Johnson City Cardinals from GCL Cardinals. June 20, 2014 CF Magneuris Sierra assigned to GCL Cardinals from DSL Cardinals. August 13, 2012 St. Louis Cardinals signed free agent OF Magneuris Sierra to a minor league contract.